Durango School District 9-R Creativity Festivity art show. Last Saturday, I visited Creativity Festivity, the Durango Arts Center’s annual student show, for the third time. Partly by chance, partly because one work called me back, and partly because Saturday was Slow Art Movement Day. The idea to slow down and pay attention to art started in 2008; it has become an international day. Much has been written about the Slow Art Movement, an effort by museums to encourage visitors to take time with art. Research has shown that most visitors to art galleries average about 15 to 25 seconds per artwork. The greatest museums in the world, the Louvre, the Prado and the Metropolitan Museum of Art, have conducted studies that are telling. People head for famous works, check off an imaginary list and move on. The Slow Art Movement, like Slow Cooking, invites everyone to stop and savor. On my first visit to DAC’s student art show, I planned to take it all in and probably not return. First, I noticed how the normally packed exhibit had been simplified. And, there’s a unifying theme: Art connects the world. Each school art program seems to have a section of the gallery that’s clearly identified. Unifying everything in the Barbara Conrad Gallery is a big, yoga-ball Earth sculpture. It’s suspended from the ceiling with paper chain tentacles that stretch out, giving the whole room a festive air. So, I took it all in, roaming from section to section. My second visit coincided with the pre-concert talk given by San Juan Symphony Conductor Thomas Heuser. The standing-room-only, evening crowd presented a problem. How could 50 to 60 people cram into the space without moving walls? Well, people sat or stood in and around the artwork. I happened to sit near the Animas Valley Elementary display. Gradually, I became aware of one quietly engaging, mixed-media piece by a first-grader named Olivia. Olivia’s collage/watercolor image centered on a little figure made of three pieces of paper. Surrounding this abstract but definitely human figure, bold watercolor strokes encircled the form. A figure in a storm? A self-portrait? A solitary person in a landscape? All three ideas have many precedents in the history of art. So, as I listened to Heuser’s spirited discussion of Tchaikovsky’s Violin Concerto, I double-tracked on the context for Olivia’s compelling work. On my third visit to Creativity Festivity, it happened to be Slow Art Movement Day. First, Olivia’s beautiful work called me back to its grand simplicity. Then, I found many other artworks to linger over: Zoey’s collage, “Nighttime is Swirlland,” from Park Elementary; “Dragonland,” an inventive travel collage by Rei Rasmussen with mountains cut out of an Oregon map; a number of collaborative landscapes made of small, individual reflections on nature; and the origami butterflies mounted diagonally in a grid by Durango Montessori School. Inventiveness and cooperation seemed to be watchwords of the teachers and the students this year. 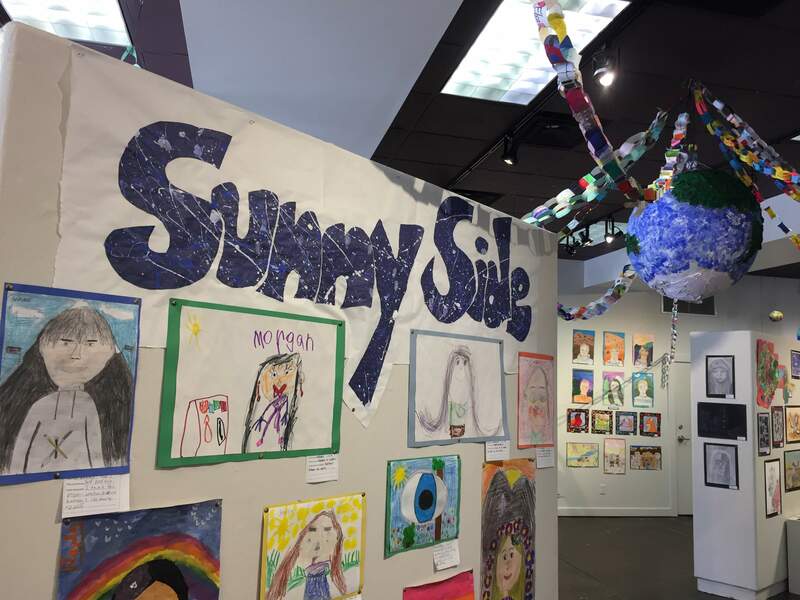 For more than 20 years, DAC has partnered with area schools and other educational programs to mount this annual exhibit. In years past, the goal seemed to be to display as many works as possible. While visually dazzling, the student art show too often was overwhelming. Spearheaded by DAC Education Coordinator Sandra Butler and orchestrated by Exhibits Director Peter Hay, the 2017 iteration of Creativity Festivity has seemed simpler and stronger. So, I celebrated Slow Art Movement Day with another visit – simply to savor. 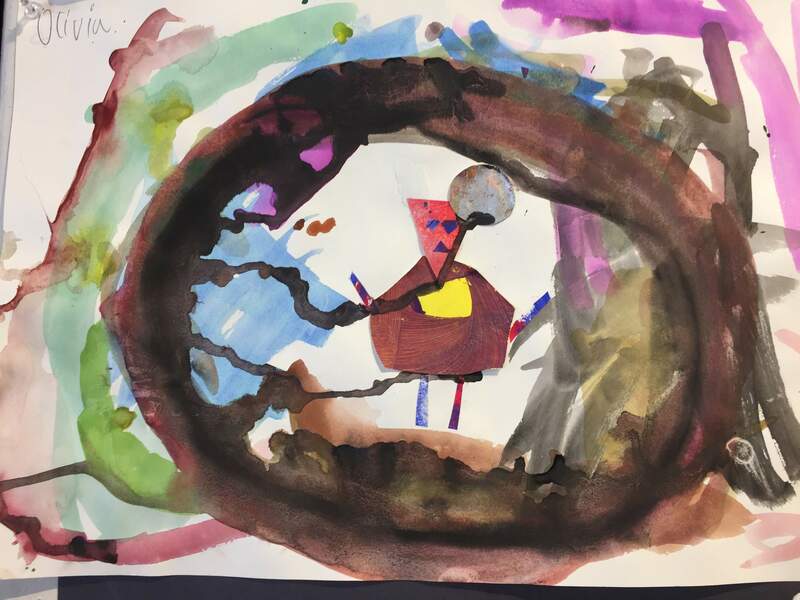 Collage, watercolor by Olivia, first grade, Animas Valley Elementary. What: 23rd Annual Creativity Festivity. Durango Arts Center annual student art exhibit, Creativity Festivity, through Saturday. 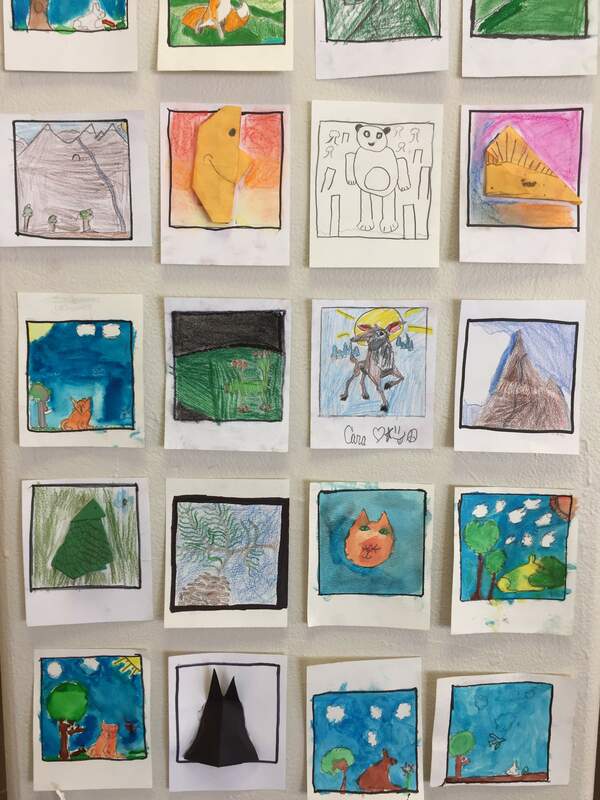 Collaborative Landscape Project, “Polaroids,” by Mrs. Drumm’s fourth-grade class, Florida Mesa Elementary. 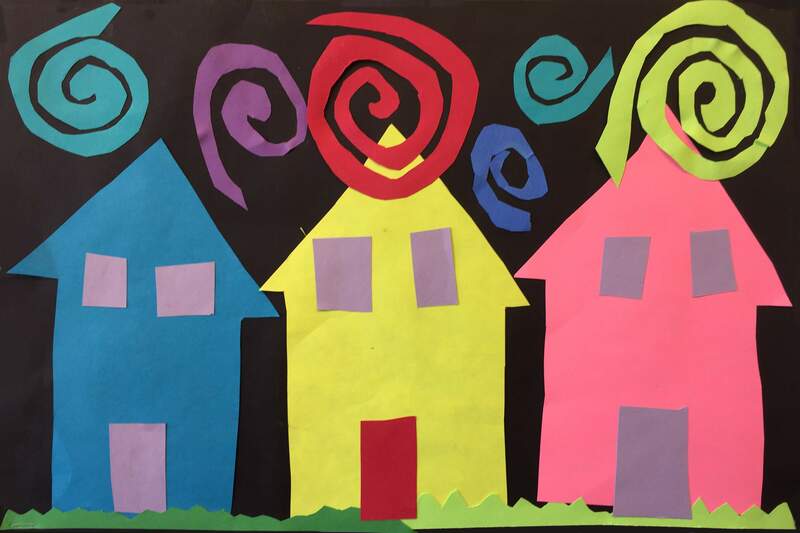 Collage, “Nighttime Swirilland,” by Zoey, Park Elementary. 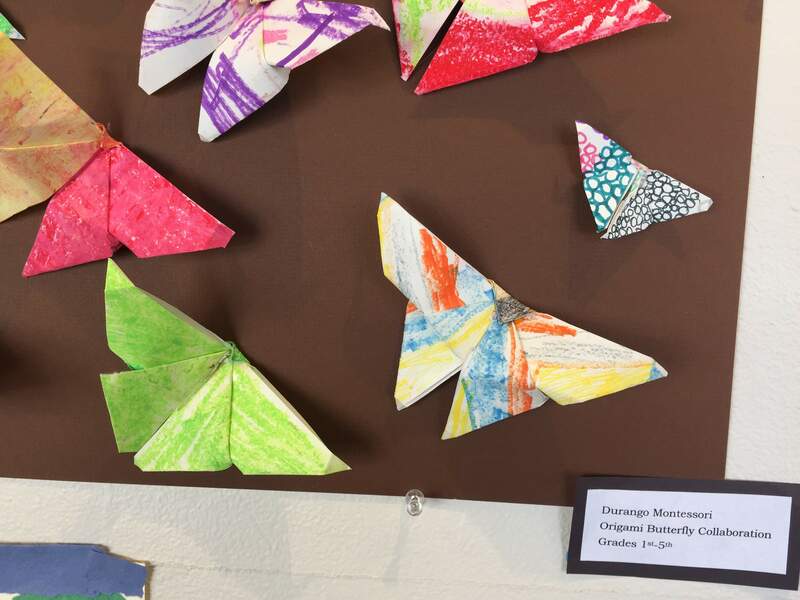 Origami Butterflies, Durango Montessori School. 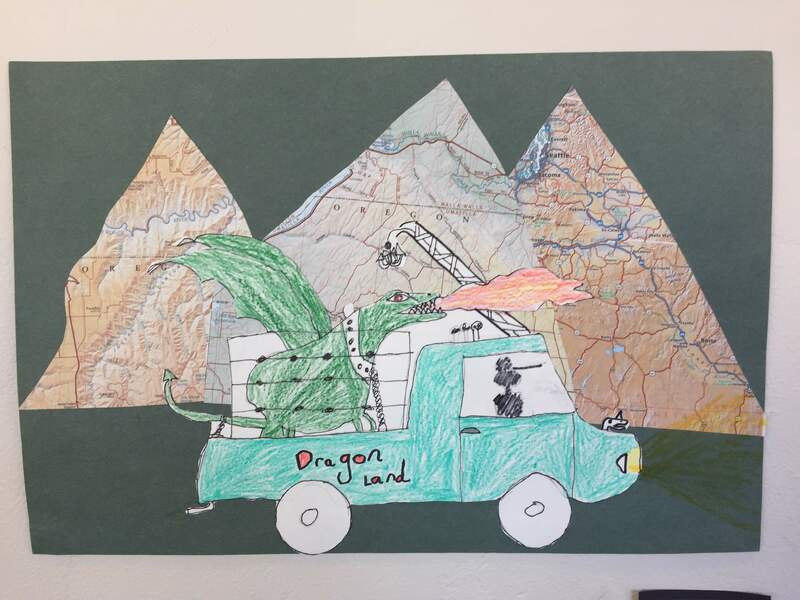 “Dragonland,” collage by Rei Rasmussen, Durango Montessori. 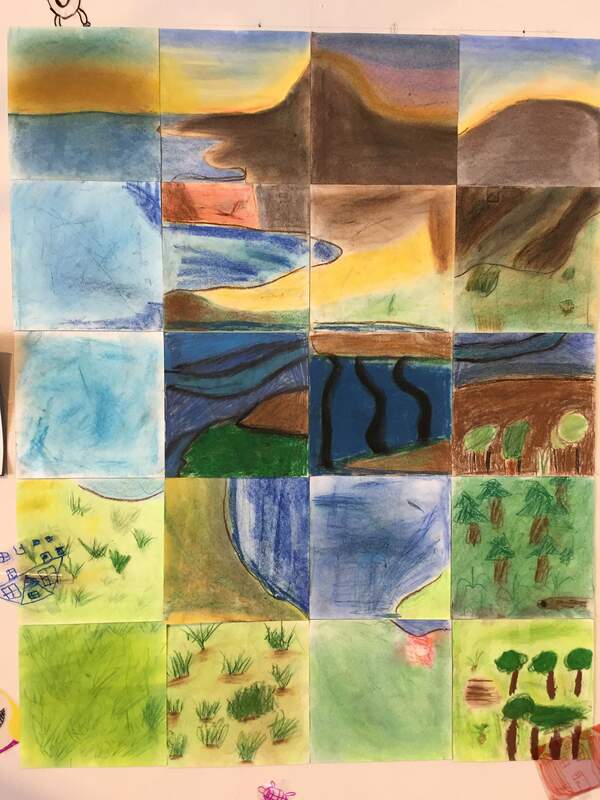 Collaborative Landscape Project, by Mrs. McMunn’s third-grade class, Florida Mesa. 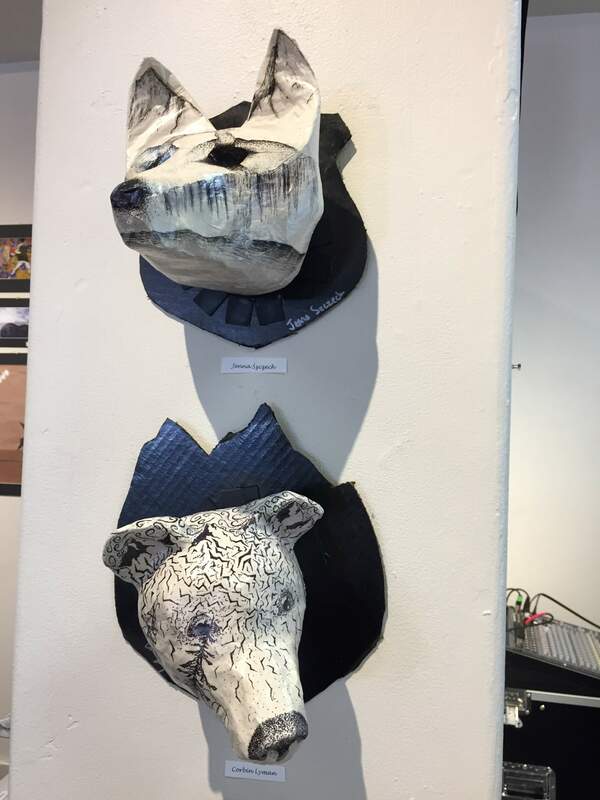 Two animal heads, by Jenna Szczch and Corbin Lyman, Durango High School.